The Year 10 VCAL students have done a great job in helping construct the Eco-Farm. They have been constructing the outer fence which is nearly completed and helped construct the framework for the Hot House. 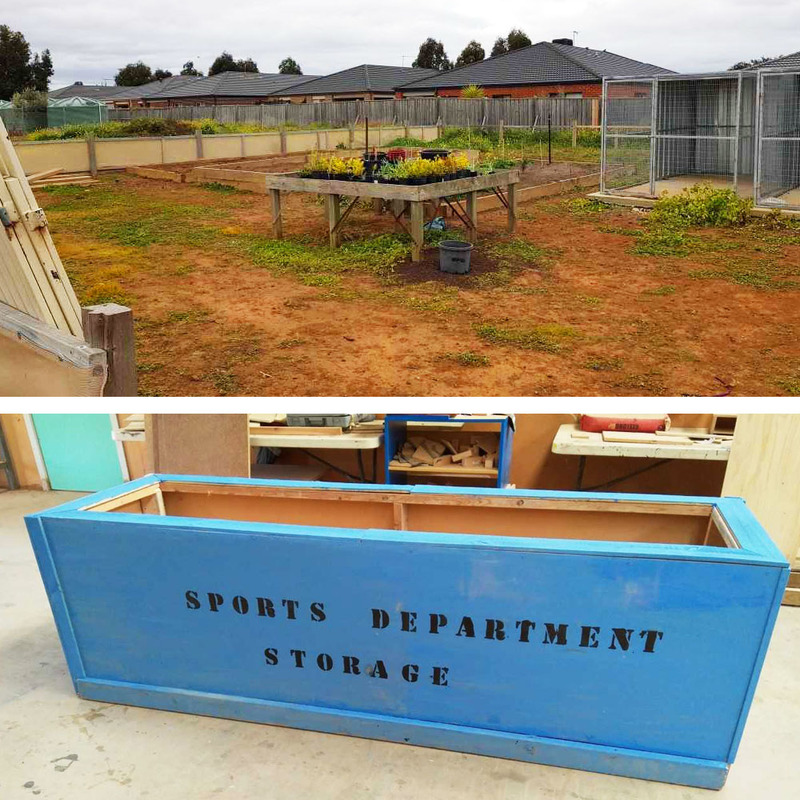 They have also made a storage unit for the P.E Department which has just been painted and will be put in after the holidays. They have worked well together and have done a great job on all the tasks given to them this term. 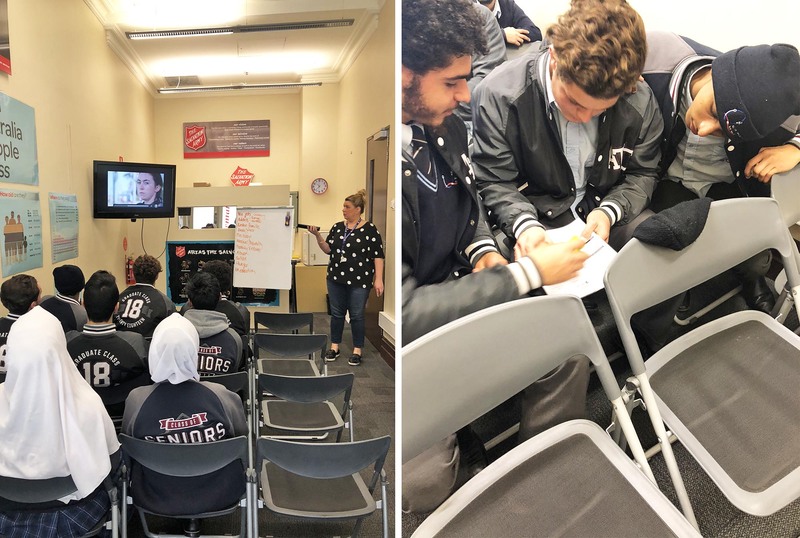 Our Year 12 VCAL students have been learning about the topic of Homelessness. They have also been working towards developing a project to take action and make a difference to tackle this issue. The Year 12 VCAL class attended an excursion yesterday to the ‘Salvation Army City Tour’. The day started with the first hour as a workshop that explored the causes, effects and stereotypes of homelessness. This workshop also included short videos and many fun group activities to help the students understand the cause and effect of homelessness. The group was then taken on a 40 minute guided walking city tour to visit locations where people ‘sleep rough’; real stories and real people were discussed to give students an insight into the issues they face on a nightly basis. This was a very informative and enriching learning experience for our students. We would like to thank The Salvation Army for this great opportunity! We can’t wait to see the amazing work and completion of our students’ project to tackle this issue. Stay tuned! So far we have had three amazing weeks working with North Melbourne Football Club for this project. 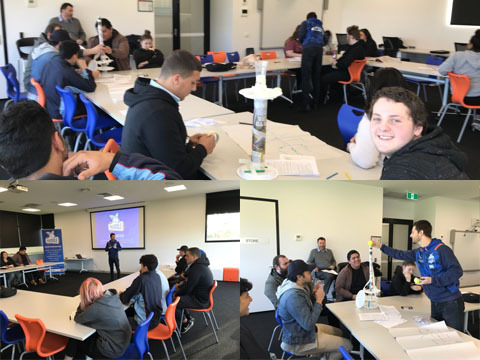 The students from Al-Taqwa and Wyndham City all involved in a project that promotes unity, leadership, and social cohesion. The project is set out to create an advertisement that will promote social cohesion, and our students will be part of this along with others from a different variety of schools from Wyndham area. The students have represented our school/community in a very positive manner. This is through good behaviour, social cohesiveness, and respecting others from all different kinds of communities/religions/cultures. They were given an opportunity to discover and ask questions about different faiths such as Baha’i, Christianity, Hinduism and Buddhism, as there were guest speakers/community leaders present. We look forward to the next coming weeks of completing our exciting Huddle project. Stay tuned for our next update! 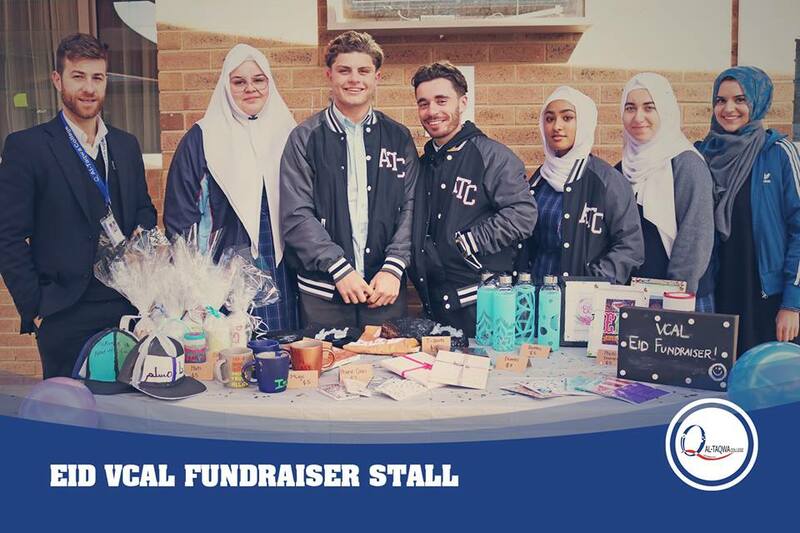 Each year our talented VCAL students are involved in an Eid Fundraiser project as part of their PDS (Personal Development Skills) subject. Students have been working extremely hard on designing and creating products from scratch to sell as part of their Eid Fundraiser. All Year 10, 11 & 12 VCAL students have shown outstanding imagination and creativity skills in carefully designing these products to cater for all. I’m very happy to announce that we have raised a total of $1,000. I’m extremely proud of these students as they’ve put in an immense amount of effort and dedication towards their Fundraiser project. Well done to them!! A special thanks to Stefanos, Muzna & Abdul Wahid for their great efforts in assisting students and giving up their lunchtimes to run the stalls. Lastly, a very big thank you to all teachers and staff for supporting our students and donating. We are very proud of their achievements and it couldn’t be possible without you all. It is with great pleasure that Al-Taqwa College has been invited to join the Wyndham VET cluster from 2018 onwards. Previously our VCAL students were completing their VET subjects in external TAFE Colleges such as Kangan, Victoria University and the Gordon. These locations were scattered across Melbourne and offered full rate fees which pushed the costs of the course fees up. The VET subject is a compulsory part of the VCAL program in Victoria. Al-Taqwa has worked extremely hard in giving our students the best chance of succeeding, with the best facilities at more affordable prices. VET fees will be up to a third cheaper compared to the 2017 fees. Included bus services (pick up and drop from Al-Taqwa every Wednesday).